Does the medication in our mains do more harm than good? Home / Our Drinking Water / Does the medication in our mains do more harm than good? ALMOST half a century after fluoride was first added to our water supply, one alarming concern is being increasingly voiced: Is it poisoning us? Our Government insists the practice is a safe, effective way of guarding the population against dental decay. But Ireland is now the only EU nation with a mandatory policy of adding fluoride to our water. And countless countries have either halted or banned fluoridation in the face of growing scientific evidence that it does more harm than good. Environmental scientist Declan Waugh goes as far as to label the Irish policy, put in place in 1964, “a silent catastrophe”. It is a belief born out of painful personal experience. He explained: “Three years ago I was diagnosed with chronic tendonitis in both shoulders, caused by calcification of ligaments. “I was asked to go in for surgery but I didn’t go because I wouldn’t have been able to hold our child. During the course of my research I found out that a clinical sign of fluoride is calcification of ligaments. “I stopped drinking tap water and using fluoridated toothpaste and reduced my tea consumption. Last year, Declan compiled a report based on 1,217 fluoridation studies from 250 of the world’s top medical and scientific journals — and the results were shocking. The National Academy of Sciences in America, for instance, found links with thyroid disorders, diabetes, cancer, neurological illnesses, gastro-intestinal diseases, skeletal and muscular-skeletal pain and low IQ. And known side-effects of the additive would appear to explain Ireland’s worryingly high rates of neurological and cardiovascular illness, diabetes and bone disorders, and even Alzheimers and autism. Declan also compared incidences of 26 diseases in the Republic with the non-fluoridated North and found that, in each case, they were far higher here. He said: “There is no doubt in my mind that the levels of sickness in Ireland are related to our water fluoridation. “Some of the brightest, most scientifically competent individuals have come out and said the practice is unsafe. Despite the growing body of evidence, though, there are no plans to ban fluoridation in Ireland. In its most recent position statement, the Irish Expert Body on Fluoride and Health insisted that the practice is safe. However, campaigners here insist that the Government has to accept that it is medicating the population with a substance that has never been tested for safety. Declan pointed out: “It comes down to the precautionary principle. “If a risk cannot be proven to not exist, then you should not continue with a policy. “At this stage it’s not even a risk. AISLING Fitzgibbon credits her fluoride-free diet for curing the severe depression that dogged her for four years. The 26-year-old, who is planning legal action against the State for violation of bodily integrity, revealed: “In 2010 I’d never heard of anything to do with fluoride. “I was very sick with depression and the anti-depressants I was being treated with weren’t working. “I went to a nutritional therapist in the UK who pointed out that our water is fluoridated and that this can have a detrimental effect on the thyroid gland — depression can manifest from thyroid dysfunction. 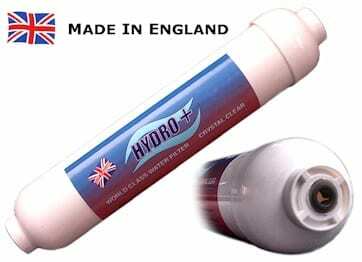 “We got a reverse osmosis filter fitted at home, which clears the fluoride from drinking water. Delighted with her new quality of life, Aisling set up the Girl Against Fluoride campaign and has roped in the likes of Independent TD Luke ‘Ming’ Flanagan to urge a Government rethink on mandatory fluoridation. She revealed: “So far, about 11 local councils have voted to remove fluoride from the water system but they can’t actually do anything about it because it’s written into law. It’s crazy this is still the case. “Ireland and Singapore are the only two countries in the world with a policy of mandatory fluoridation. The Tralee, Co Kerry woman is determined to raise awareness of the issue, admitting: “So many people are still unaware of what’s in the water. They don’t know what fluoride is and what it can potentially do. “I know it’s uncomfortable to think that our Government allows a potentially harmful practice — but that is the case. 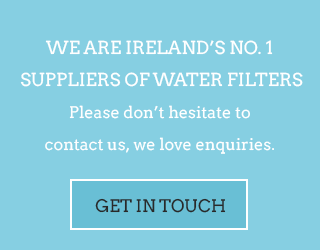 « Why Choose a Cleanwater Filter?